The medley of dried Montmorency cherries, black pepper, citrus and Pinot Noir makes for the quintessential pairing . There is not a meat, cheese or cocktail that this baby can't uplift. Je ne sais quoi quality to keep the culinary imagination on point. 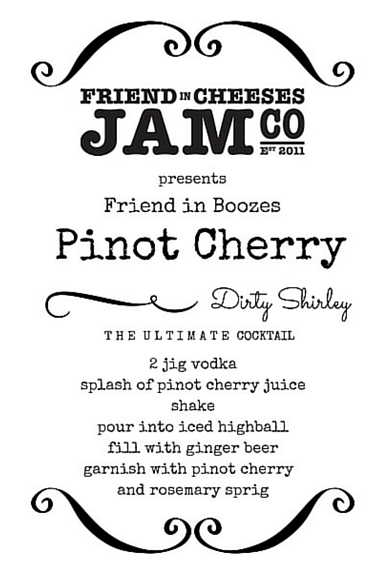 Download Dirty Shirley Recipe here.